The housing market is stuck in a rut. House prices are rising on a daily basis and there is a shortage of properties coming to the market making it increasingly difficult for those looking to move. 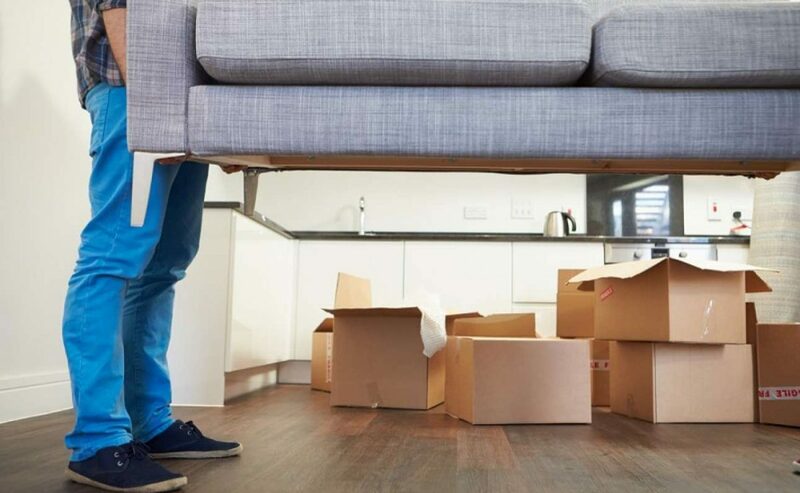 We all reach a point where we consider moving house, often coinciding with a change in circumstances, be it a new baby, kids getting older and needing more space, or families growing up and moving out. But finding a new home is not as straightforward as it once was. Here are some of the issues causing the problem and a few things to consider if you are looking to buy. Moving house is a costly exercise. You will need to qualify for a new mortgage, so you will need to decide whether or not the timing is right to apply for a mortgage based on your other financial obligations and personal circumstances. Selling your current home also means estate agency’s fees, removals, utility reconnections and conveyancing costs. Because there are so few properties, those that are on the market tend to get into bidding wars, I’ve heard of homes with as many as 11 buyers bidding. This means that people often end up paying way over what they had planned, significantly reducing the money they had hoped to set aside to renovate or improve their new home. It also means that there is a great danger that people are paying over what the property is worth. So any money you invest is something you risk not seeing any return on unless you are planning to stay there long-term. Unless you find something in walk-in condition that exactly matches your taste you will need to budget for some alteration works to your new home. The cost for refurbishment is rising all the time and depends on the condition and age of the property you purchase, it can range anywhere between €850 for a home post 1950 and €1,500 per square meter for period homes. These figures are excluding finishes and fittings such as kitchens, flooring, windows etc. The cost for extending is approximately €2,000 per square meter and again this excludes any finishes or fittings. Have all of your finances and paperwork in order. ‘Estate agents will only negotiate with fully financed buyers where a house has multiple interested parties,’ says WIlliams. And having your offer accepted is not the end of the process. You need to have a building survey done, which may highlight issues that will impact your budget. It’s also really important to seek advice if you are planning on extending or developing the house in any way. Don’t just assume you will get planning permission. Look up the planning website to view houses in the area that have been extended to see if anyone has done similar work. Read any conditions that may have been set by the planners. This is really easy to do. Most councils have an online search facility and you will easily be able to see what is and isn’t possible. I’ve met two people in the last month who have bought their home by doing a swap. In both cases the families had been looking to trade up from a smaller home and the people they swapped with were looking to downsize from a large home. ‘Legals are important, and contracts are issued for two separate conveyances – there will be clauses to stipulate that one cannot be signed unless the other is also signed,’ says WIlliams. Essentially this method of buying a home keeps the chain to two parties making it much easier to manage. It will tend to move a lot faster too as, both parties have a vested interest in ensuring each sale progresses smoothly. A lot of our clients have been looking for up two years, in many cases losing out a number of times before eventually closing on a house. Bidding wars and lack of supply coupled with busy lives mean it can be very difficult to keep the momentum and enthusiasm going for such a long time. Seek out good advice to help you whilst you’re looking. Build relationships with local estate agents and If you do find something you’re interested in it’s worth visiting the house with an architect or builder to try to get an idea of the cost of what you are planning to do to help you to keep track of your budget and ensure you don’t spend more than you can afford. The issue at the moment is that it’s cheaper to maximise the potential of your current home than it is to move, meaning people are choosing to stay rather than put their home on the market. Fewer homes on the market means higher house prices and less choice – so unless something changes the problem is only going to get a lot worse.